We like to tell ourselves that we are living in the Information Age. It would be more accurate, perhaps, to say that we are living in the Useless Information Age. Our appetite for pointless facts – and for the quizzes in which we parade our knowledge of them – is apparently boundless. We’re even willing to make instant millionaires of those who have mastered the meaningless. Lawrence Duffy is a man who has bought into this culture with everything he has. He lives to be tested – at home in front of the TV, at work, in his local pub – and is rarely found wanting. But the sad truth is that Lawrence has spent far too much time on his quiz skills and not nearly enough on his people skills. Cathy (Olivia Caffrey), Lawrence (David Pearse) and Molly (Janet Moran). Now, after a lifetime of rejecting potential partners because they can’t name all of the Monkees, Lawrence has finally met a woman who knows as much as he does. Suddenly he’s faced with a whole new set of questions – and none of the answers are on the Internet. 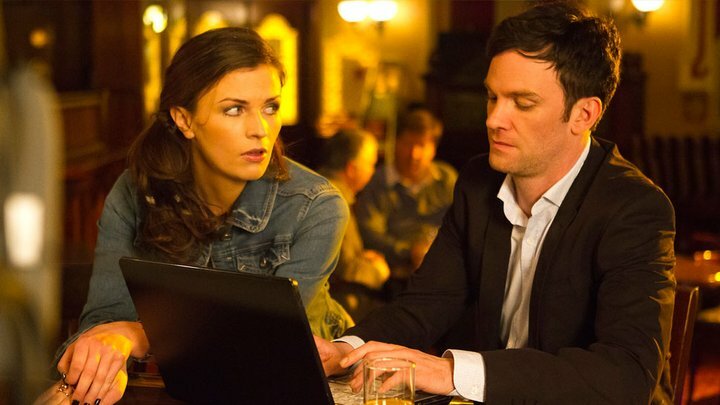 Ruth (Aisling Bea) and Adam (Keith McErlean). Trivia is a comedy/drama about a man who knows it all but hasn’t learned a thing. It stars David Pearse, Janet Moran and Keith McErlean, and was produced by the fine people at Grand Pictures. I created and wrote it. Brian (Fionn Walton), Lawrence (David Pearse), George (Damian Kearney) and Tina (Liz Fitzgibbon). Series one was broadcast on RTE 1 (Ireland) in February 2011. Series two went out in September 2012. 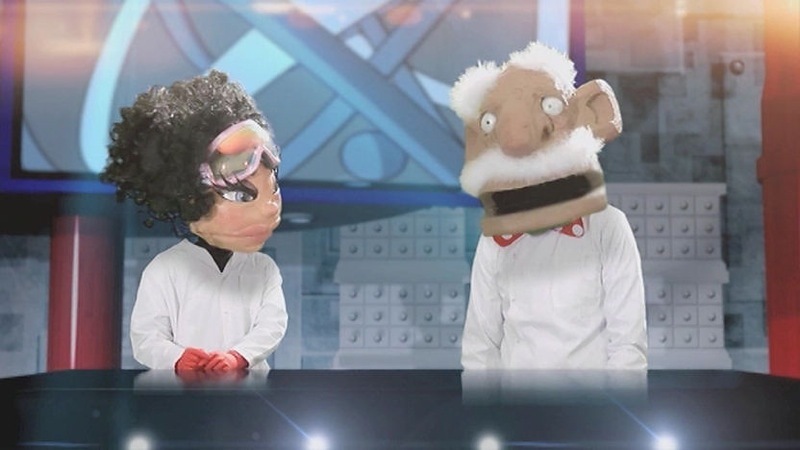 Brain Freeze uses a multimedia mix of green-screened puppetry, 3D animation and 2D cartoon sketches to explain some of the big issues in science and technology to an audience of 8-12 year olds. It began life as Science Fiction on RTE in Ireland and is now broadcast by CBBC in the UK and by various other networks around the world. I wrote several episodes. Brain Freeze won the Kids’ Choice Award for Best Animation Series at the Irish Animation Awards 2015. Dr Knowles and Professor McCork. 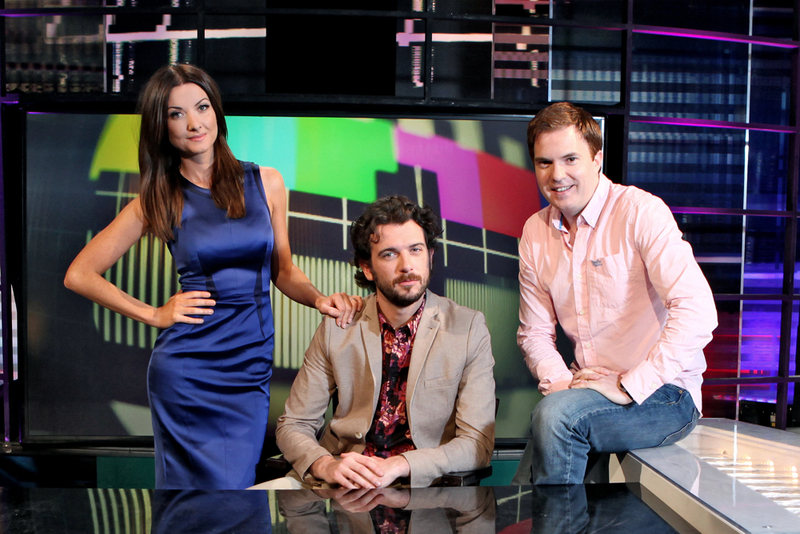 Republic of Telly is an IFTA award-winning television review and sketch show that has been running on RTE since 2009. It’s hosted by Kevin McGahern and features Jennifer Maguire and Bernard O’Shea. I contributed material to its sixth season. Jennifer Maguire, Kevin McGahern and Bernard O’Shea. 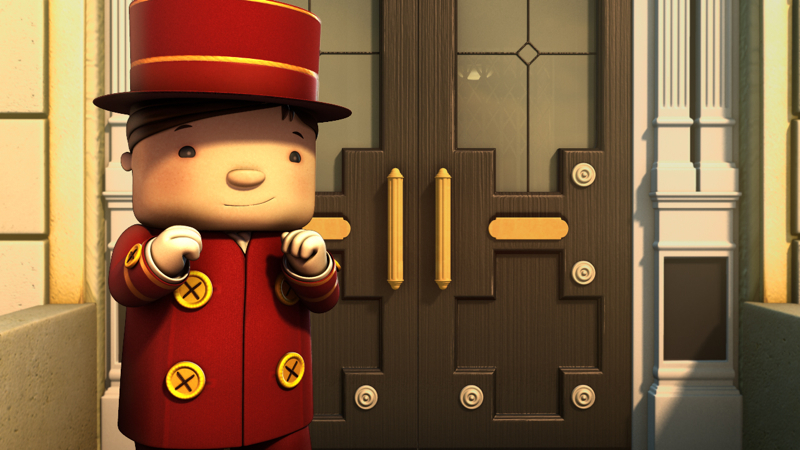 After You is a beautiful animated short film about sixty years in the life of a hotel doorman. It was written and directed by the unfairly talented Damien O’Connor, whose day job is at Brown Bag Films. After You is funny and sad in equal measure and just gorgeous to look at. It won Best Animation at the Kerry Film Festival in 2012 and was nominated for Best Animation at the Irish Film and Television Awards in 2013. I’m delighted to have been its Script Editor.